It is hard to find a better place to hold a meeting between Valery Gerasimov, chief of the General Staff of the Russian Armed Forces, and Curtis Scaparrotti, Supreme Allied Commander Europe (SACEUR) of NATO Allied Command Operations than Azerbaijan, Aleksey Sinitsin, the chief expert at American-Azerbaijani Progress PromotionFund, told Eurasia Daily. "Azerbaijan is a member of the Non-Aligned Movement. However, it has quite respectful and developed relations with both Moscow and Western capitals. 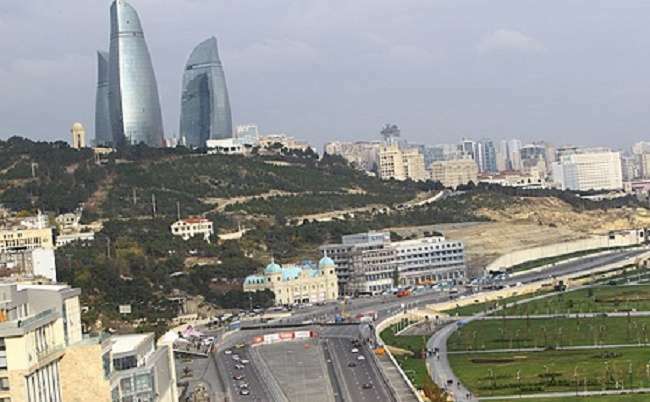 The situation in Baku is always stable, benevolent, and any unexpected political excesses are practically excluded," he said, stressing that it is difficult to find a better place for such meetings. Baku hosted a meeting between Valery Gerasimov, chief of the General Staff of the Russian Armed Forces, and Curtis Scaparrotti, Supreme Allied Commander Europe (SACEUR) of NATO Allied Command Operations on April 19. The Russian Defense Ministry stressed that Gerasimov and Scaparrotti confirmed their readiness at a meeting in Baku to continue the dialogue for exchange of views on the issues of mutual interest. The Baku meeting demonstrated mutual interest in supporting military ties aimed at maintaining predictability and transparency, the NATO press service said. The two top generals discussed issues related to the current situation and military drills, the NATO said.